And yet, because of Christ's character and charity and even though I was not a Christian at the time, I feel He put me on His back and carried me through a multitude and a variety of dark, dreary, and demoralizing days--some self-inflicted and some at the hands of others. Therefore, how could I not show mercy when I have received so much mercy in my own life? President Dieter F. Uchtdorf's talk spoke to me, like a refrain from the childhood wall of my friend's home. It’s that simple. We simply have to stop judging others and replace judgmental thoughts and feelings with a heart full of love for God and His children. God is our Father. We are His children. We are all brothers and sisters. Because we all depend on the mercy of God, how can we deny to others any measure of the grace we so desperately desire for ourselves? My beloved brothers and sisters, should we not forgive as we wish to be forgiven. Like a refrain from the childhood wall of my friend's home. How can you and I not show mercy and forgiveness and kindness to others when you and I have received so much mercy and forgiveness and kindness in our own lives? How can we not, right? 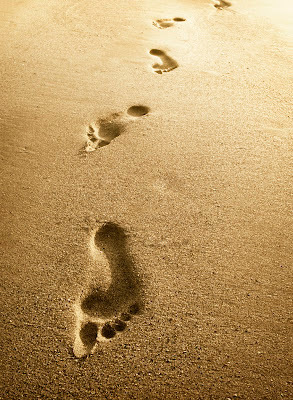 The answer seems to be found in a simple poem about footprints ignored in youth but embraced after experience.